Jeanne d’Arc from Fate/Extella is receiving a new scale figure, this time manufactured by Alphamax. 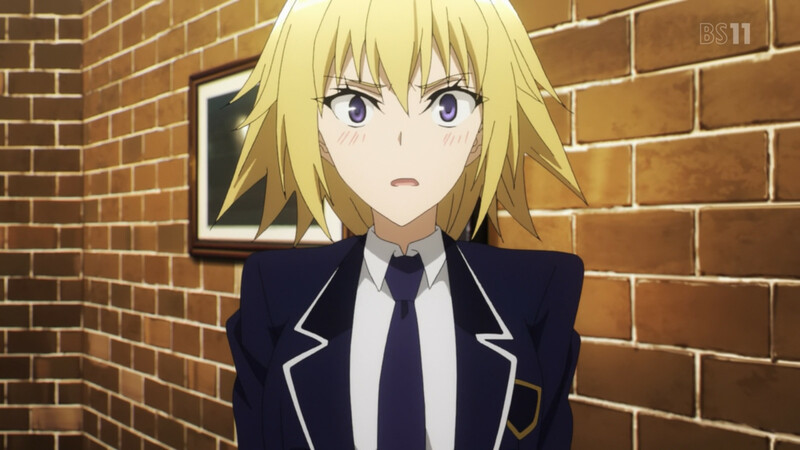 Jeanne d’Arc is a Ruler class servant that appears in many different types of media in the Fate series. She is a lead character in Fate/Apocrypha, and is playable in Fate/Grand Order and Fate/Extella: The Umbral Star (including its sequel, LINK). The figure this time depicts Jeanne wearing a high school uniform. She’s captured in the middle of taking off her shoes. You can check out some pictures of the figure below. The Jeanne d’Arc School Blazer figure is 1/7 scale and stands approximately 25 cm tall. It is manufactured by Alphamax and sculpted by Moon. The figure launches October 2019 and will cost about $125. You can pre-order the figure from Playasia at the link below. Please note, the following is an affiliate which helps fund the site. Will you be taking the school-ready Maiden of Orleans home when October comes around?